While the focus and glory is on an ability to quickly pivot your business model, a more important skill for entrepreneurs is being able to pivot inside your business. We encourage and fête leaders who change their business model to deal with changing market conditions or adjust their original plan when it meets reality. As important to growing your company and reaching an exit (or more important), but often unseen and unsung is the ability to change the way you do business, your processes, technology, etc. The success of my first company, Merscom, is often attributed to our pivoting from value core games (CD-ROMs sold at stores like Target and Best Buy) to casual downloadable games (e.g., hidden-object games downloaded from sites like Big Fish) and then pivoting to social (i.e., Facebook) games. Equally important—but more difficult—was pivoting from licensing content to creating content, pivoting from using external developers to building an internal team and pivoting from a European-focused marketing strategy to a domestic strategy. It was the latter pivots that paved the way for Merscom’s sale to Playdom and subsequently through Playdom to Disney. While all the attention and board meetings are focused on whether or not to pivot your business model, you should spend as much or more time analyzing how you are doing business and whether it needs to change. One of the most difficult things to do is to pivot how your company manages day-to-day. I have actually found that this is a more difficult change than changing your business model, because it alters how everybody in the organization operates. As tools evolve and emerge, however, a change can increase productivity an order of magnitude, and make the difference between success and failure. Changing the software your company your company uses can increase productivity (and thus profitability) immensely. Many companies are using the software products they learned and became adept at years ago, e.g., Microsoft Project, Office, Act, and / or Quickbooks, up to SAP, Oracle and other enterprise software. It is very painful to give these products up, because you and your team must change how they do almost everything. Technology (and venture capital), however, has given us a multitude of new products that can revolutionize how your company operates. Most of my professional life, I used a product called Goldmine to manage my to-dos for the day, business relationships, and e-mail. Although it was a complex product that I had finally mastered, I realized technology had advanced quicker than Goldmine. I decided to start from scratch and evaluate alternative software. I ended up picking a product called Podio; it has not only immensely increased my productivity but also that of my entire team (or so they tell me). By changing software systems, I probably reduced our staffing needs by 20 percent. Another way to move from unsustainable to successful is changing your technology base. You may have spent several years developing an engine or learning a third-party software (or middleware). Despite that investment, a new product might become available that is better or more cost effective. Although you would have to give up everything you built, that is a sunk cost and you should use the best technology. I remember in the traditional game space, every development team wanted to build its own game engine. Some had put years into developing theirs. 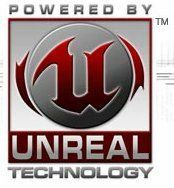 Then Epic came along with the Unreal engine (as well as the Gamebryo engine from Emergent). However, initially few developers were willing to work with a third-party engine. Well, to make a long story short, most of those developers went out of business because the Unreal game engine was better than anything they could build and developers licensing Unreal became quite successful (and many are still around). The ability to pivot might also help a part of your technology base. Several years ago, most social game companies had to build their own analytic systems. Now there are some great third-party solutions (e.g., Swrve, Kontagent, Honeytracks, GameAnalytics) that are better than many home-grown solutions, yet the developers will not abandon their product because it is what they are accustomed to using. They are thus at a competitive disadvantage in a very competitive space. Pivoting who you are targeting often comes with a business model pivot but also could be prompted by other circumstances. Many Bay Area companies initially focus on selling their game or service into Asia, due to the physical proximity and availability of people who understand that market. Many western products, however, are not well-suited to Asia. The companies that are successful will pivot their focus to Europe or Latin America, but this is a difficult change to make, as they may have to reassemble teams, close and open offices, etc. Long-term, though, companies must be in the markets most receptive to their products. As the above examples show, you must always be ready to change every part of your business if necessary. The playing field changes rapidly every day, and unless you change to capitalize on it, your company is likely to fail. There are new competitors starting every day that are not wedded to old systems and practices; you need to adjust the way you do business as well as your business to succeed.